The road Rozendaal leading to the Ballonzuil Monument in the forest Ballonzuilbossen near the village Merselo (Venray, Netherlands). Click here for more information about photo 'Rozendaal'. A dead tree in the spotlight at the forest Ballonzuilbossen near the village Merselo (Venray, Netherlands). Click here for more information about photo 'In The Spotlight'. 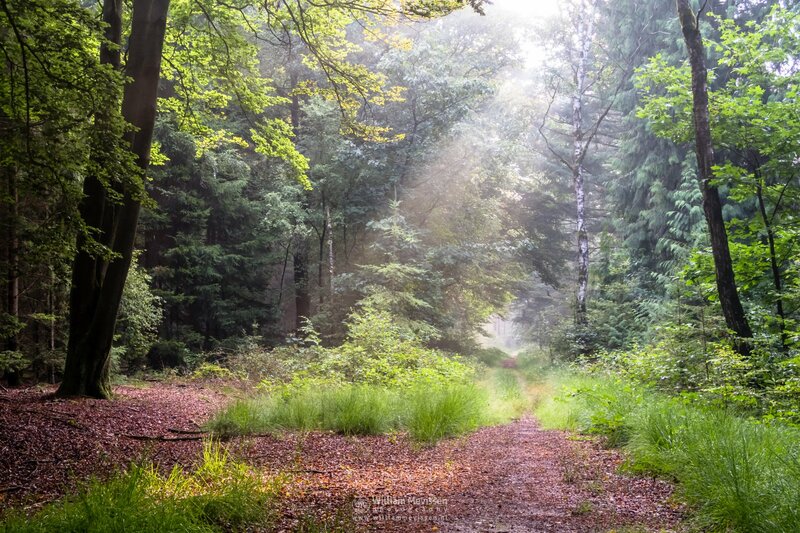 Its raining light in the forest Ballonzuilbossen on a beautiful morning near the village Merselo (Venray, Netherlands). Click here for more information about photo 'Raining Light'. 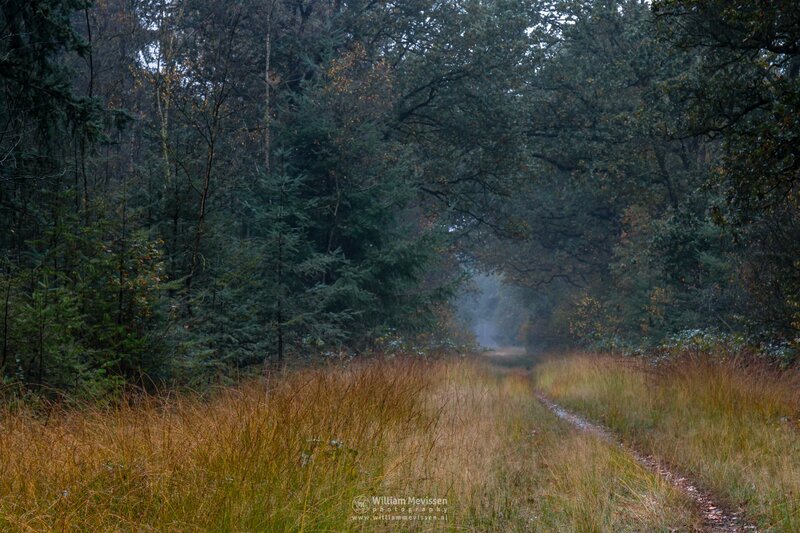 A narrow forest path on a rainy autumn morning in the pine forest of the Ballonzuilbossen near the village Merselo (Venray, Netherlands). Click here for more information about photo 'Narrow Forest Path'. 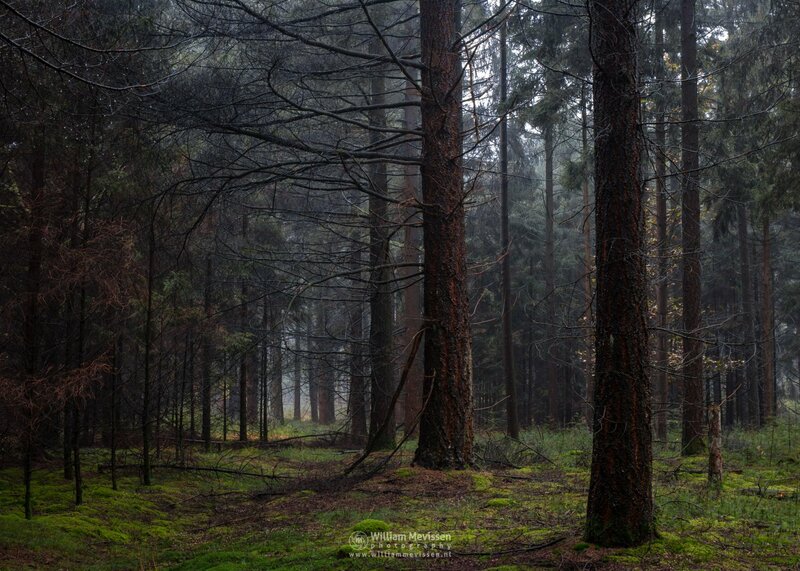 Trees in line on a rainy autumn morning in the pine forest of the Ballonzuilbossen near the village Merselo (Venray, Netherlands). Click here for more information about photo 'Trees In Line'. 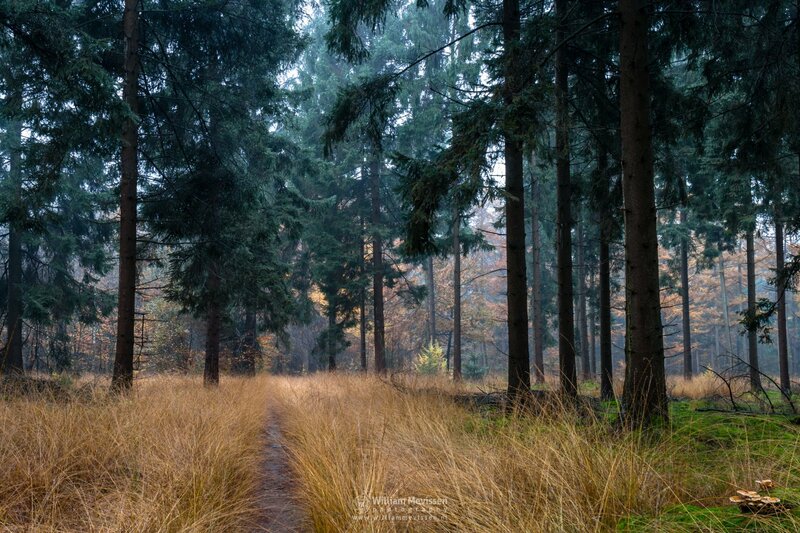 A path of grasses in the pine forest Ballonzuilbossen near the village Merselo (Venray, Netherlands). 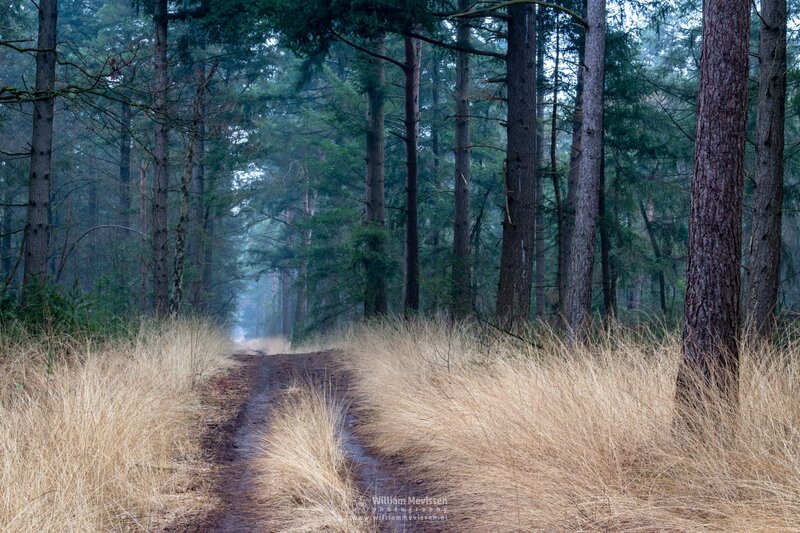 Click here for more information about photo 'Pine Forest Path'. 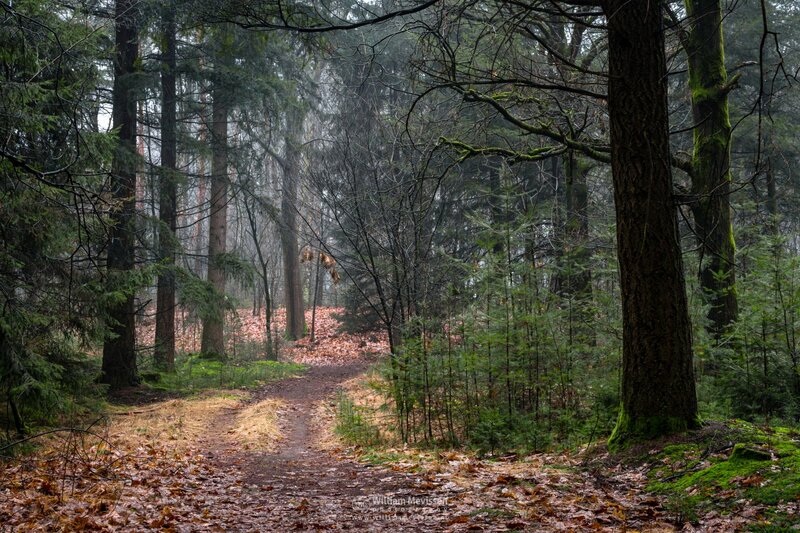 A beautiful forest path on a drizzly winter morning in the forest Ballonzuilbossen near the village Merselo (Venray, Netherlands). Click here for more information about photo 'Trees & Grasses'. 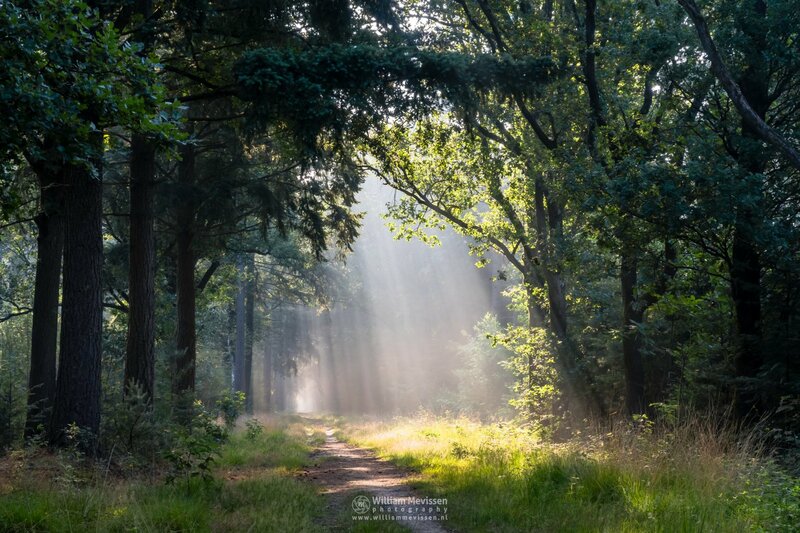 Beautiful light in the forest Ballonzuilbossen near the village Merselo (Venray, Netherlands). 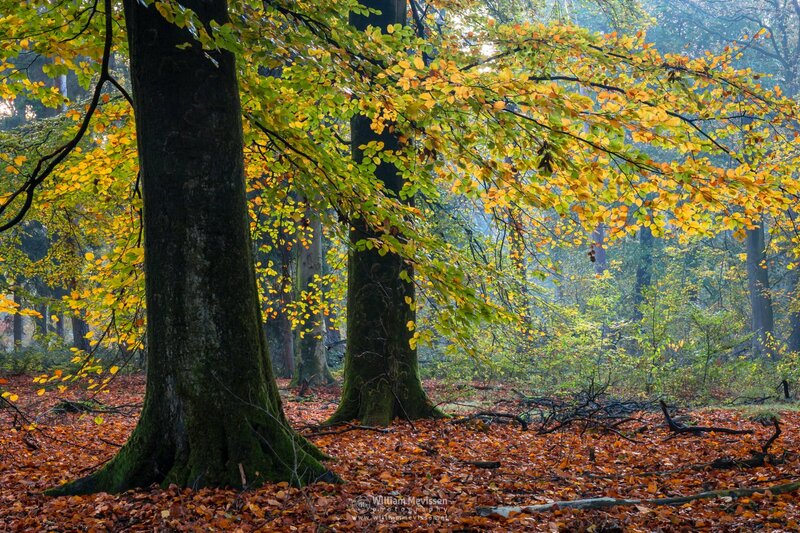 Click here for more information about photo 'Beautiful Light In The Forest'. 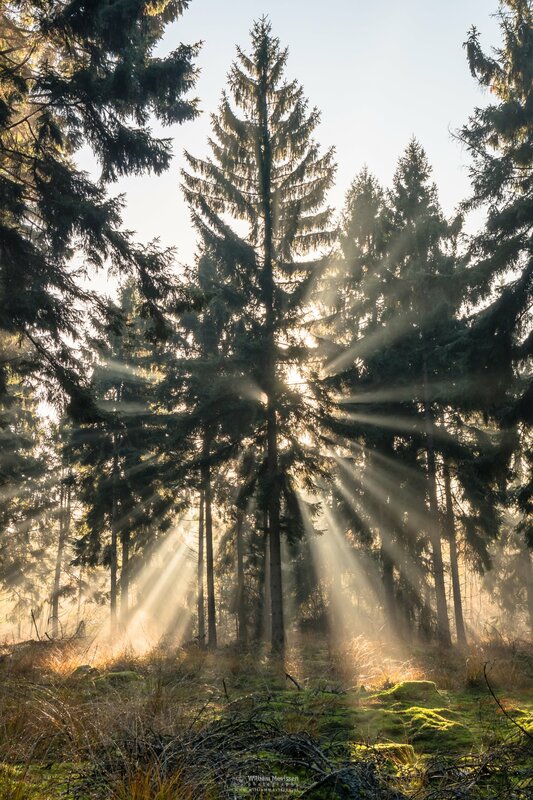 The sun is shining through the trees in the autumn forest Ballonzuilbossen near the village Merselo (Venray, Netherlands). 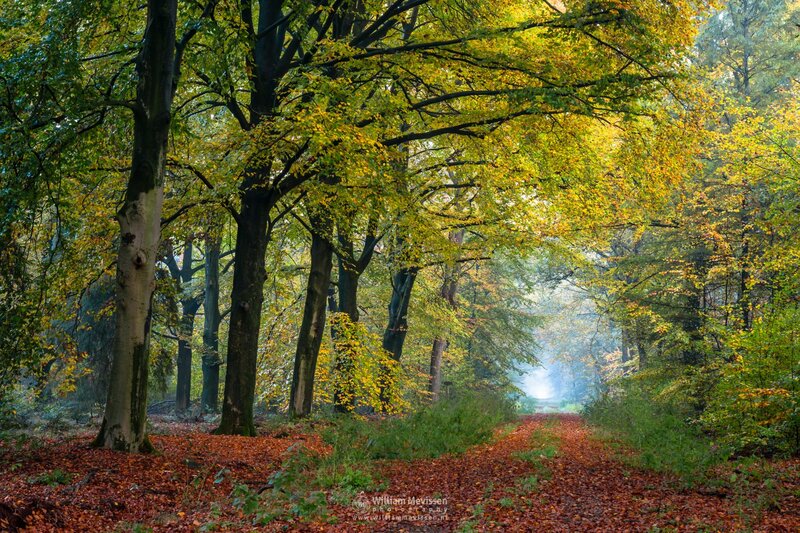 Autumn foliage in the forest Ballonzuilbossen near the village Merselo (Venray, Netherlands). A touch of sunlight in the autumn forest Ballonzuilbossen near the village Merselo (Venray, Netherlands). Click here for more information about photo 'A Touch Of Sunlight'. Path turning left in the forest Ballonzuilbossen near the village Merselo (Venray, Netherlands). Click here for more information about photo 'Left'. 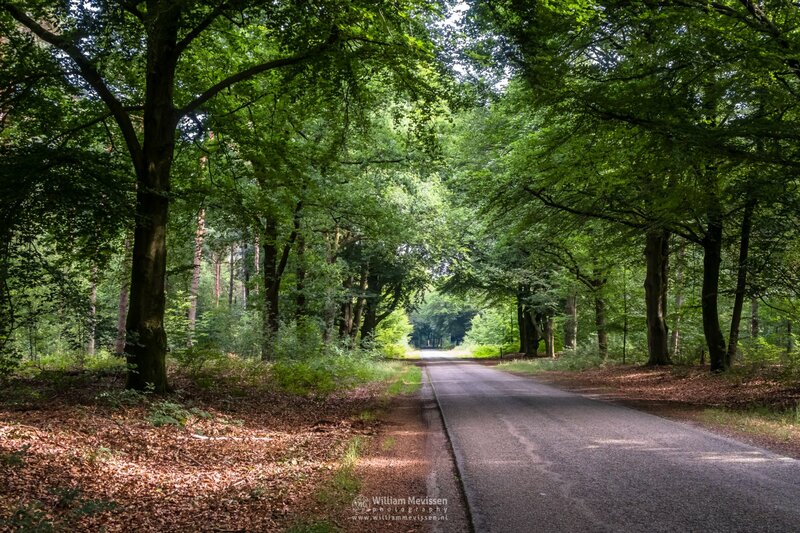 The Ballonzuilbossen is a forest area between the villages Merselo and Overloon and owned by the municipality of Venray. The area consists of mixed coniferous and deciduous forest. 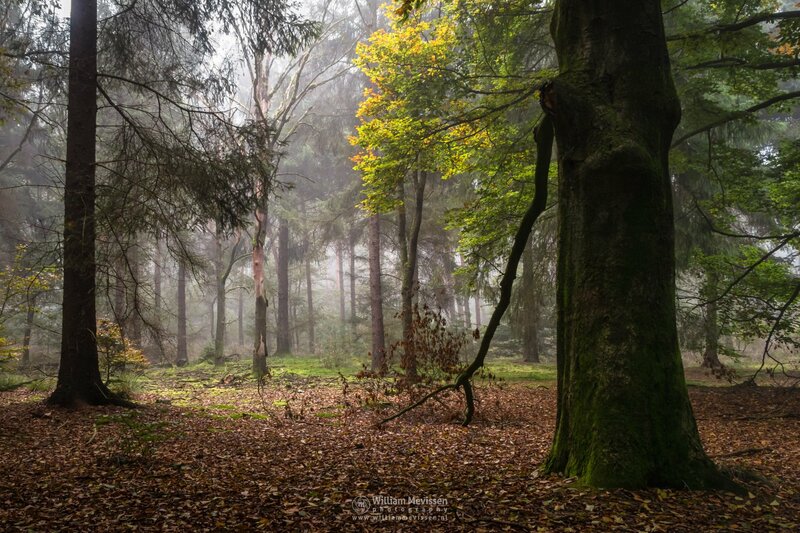 These forests get their curious name from the presence of the oldest aviation monument in the Netherlands, called Ballonzuil. It was unveiled on January 18, 1896, 25 years after a French air balloon landed in Merselo. The balloon had taken off in Paris. At that time, Paris was besieged by the Prussian troops and was cut off from the outside world. On board was besides the three man crew secret correspondence for the French government, which had fled to Bordeaux. Further 150 kilos of letters and parcels, three carrier pigeons and four bottles of wine.